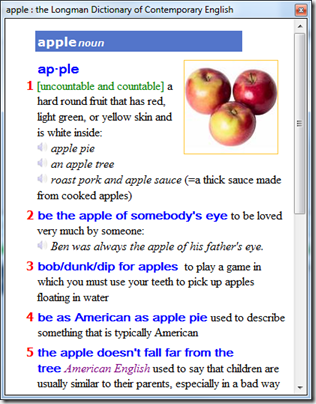 Longman English Dictionary Browser is a simple web browser designed exclusive to Longman English Dictionary Onlune (www.ldoceonline.com/). Select and highlight a keyword and press your favorite key. Control + Shift + D is the suggested default setting but it can be changed. It's all a bit cluttered but terribly useful.